So many of you have asked to see the result of our house flip project, that I just have to share. 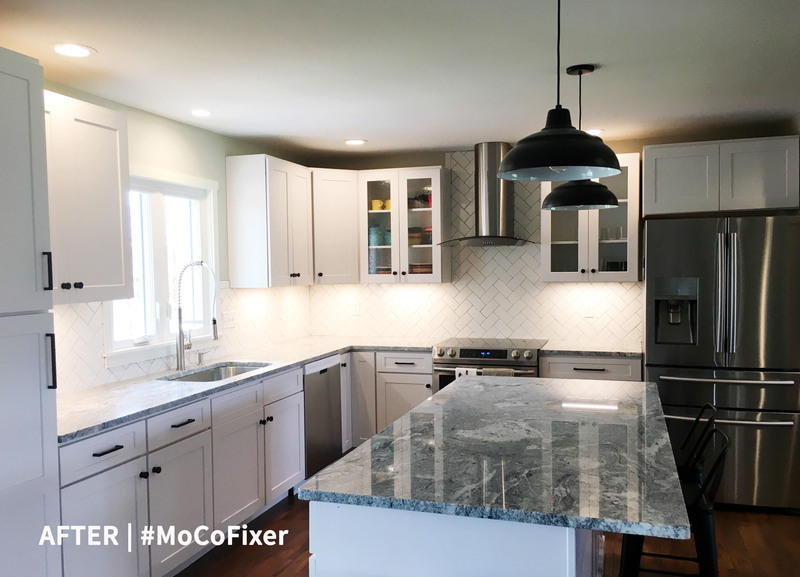 #MoCoFixer has been 95 percent complete for several months now. If you remember, we purchased the home in October 2016, closed in December, sold our old house in January 2017, and had slightly less than a month to renovate before we had to move in February. 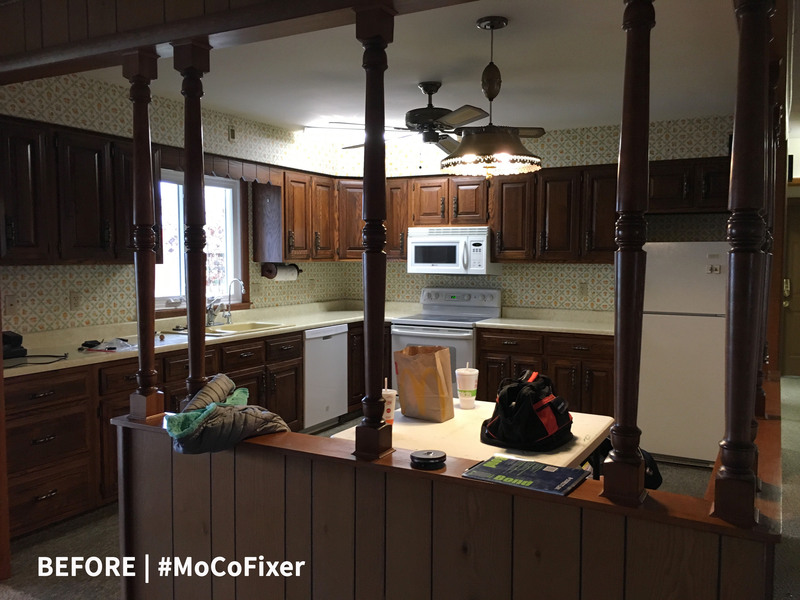 When we moved in, #MoCoFixer was still very much a construction zone. There was still a lot of painting to be done. And trim work. We only had one functioning sink – a pedestal sink in the half bathroom. We had no kitchen to speak of, at all. You can check out all the demo work here. 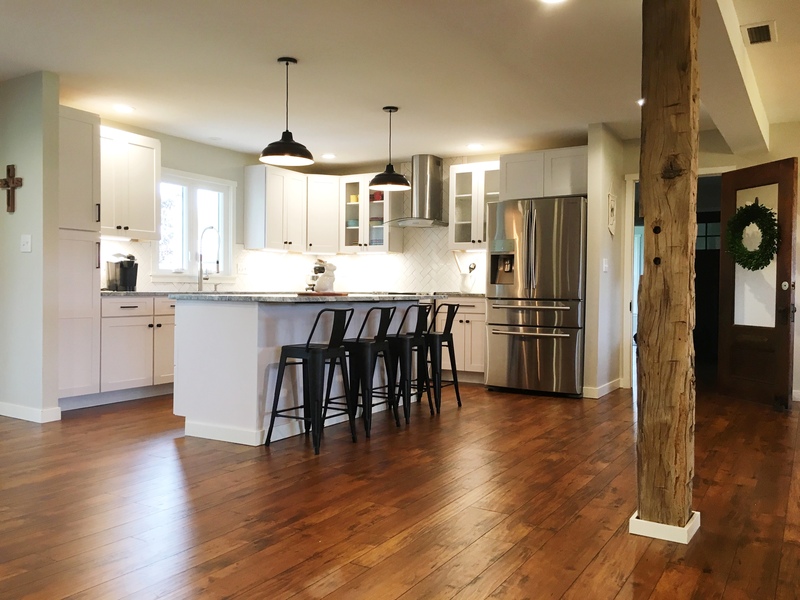 I wanted a very modern farmhouse style kitchen from the start. 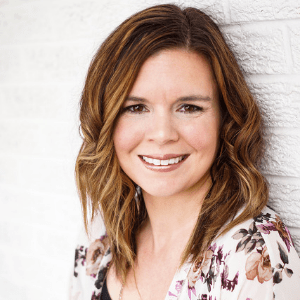 My original inspiration started with lots of white, gray and matte black, and really my only request was a tall commercial-style faucet (and a wine fridge, obviously). 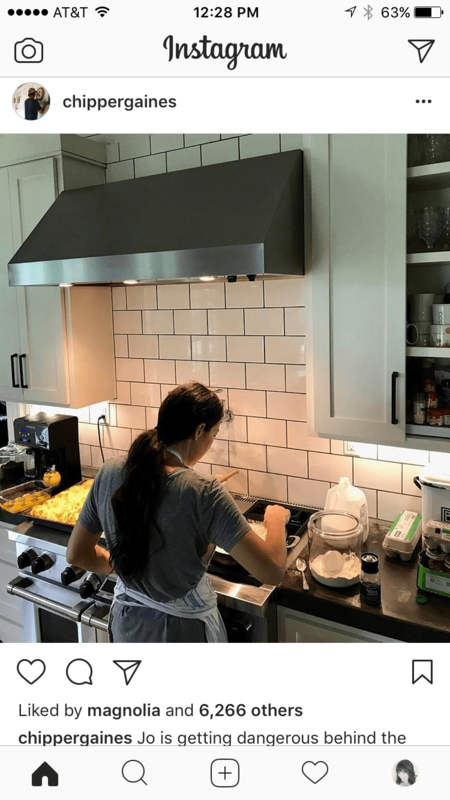 It turns out, after all of the construction was finished, that I basically recreated Joanna Gaines’ personal kitchen without knowing it. Great minds think alike, I guess? The kitchen was tricky (and living for nearly two months with no kitchen and small children is even trickier). 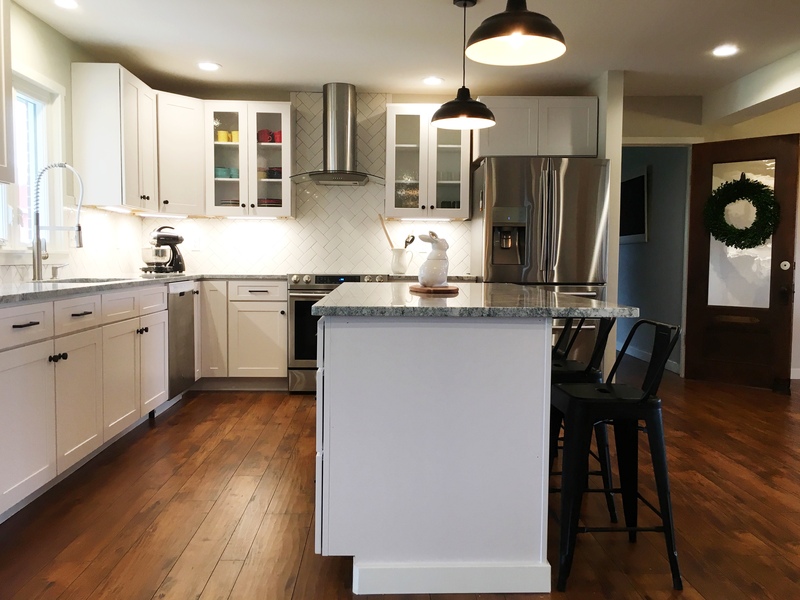 We purchased ready-to-assemble cabinetry from Cabinets.com, and I highly recommend their free design services and their products. 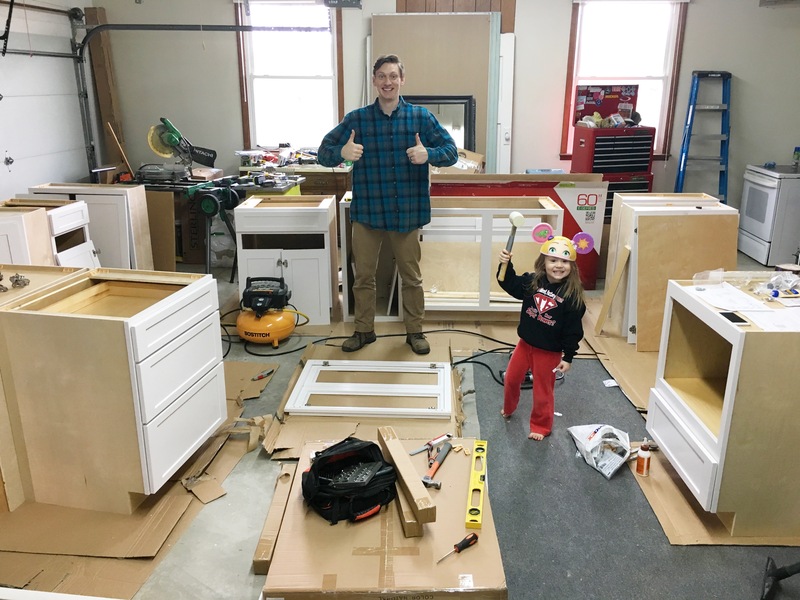 It took about six weeks for our cabinets to arrive, and then Mr. Cotten and his step-dad had to build each one in our garage before hauling them inside to install. After everything was in place, THEN I could order countertops… and wait another 6-8 weeks for those to be installed. The countertops were a bit of a fiasco, only because I thought I was ordering granite. It turns out, the stone I selected was actually marble. I love the look of marble, but it’s too high maintenance for a kitchen in my opinion. So, I ended up having to select a new granite based only on photos of slabs that I received from the installer. It worked out in the end, and I love the granite the installer suggested, but it was a bit terrifying not seeing what I was getting until it was already at my house. 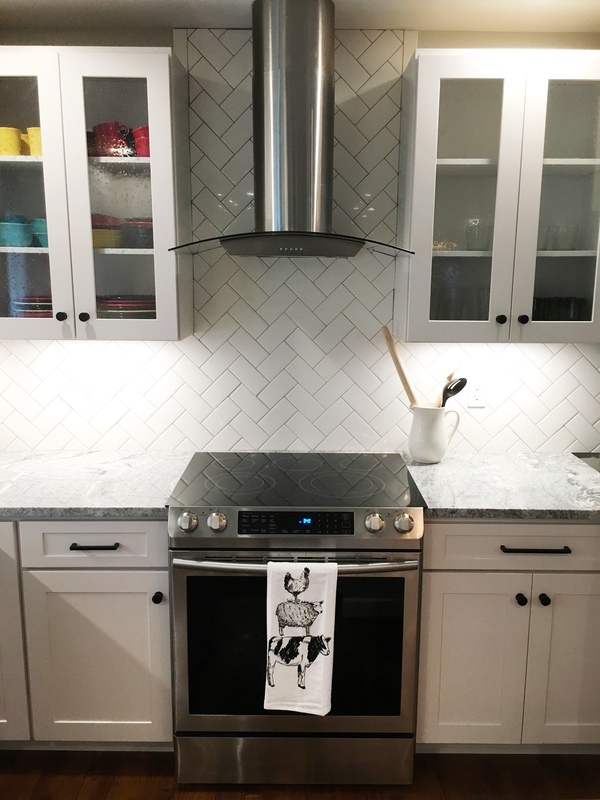 Since had never seen the countertops in real life, I waited to pick out a backsplash tile until they were installed. I had to hurry, since our tile guy was literally coming the next morning to install the yet-to-be-purchased backsplash. 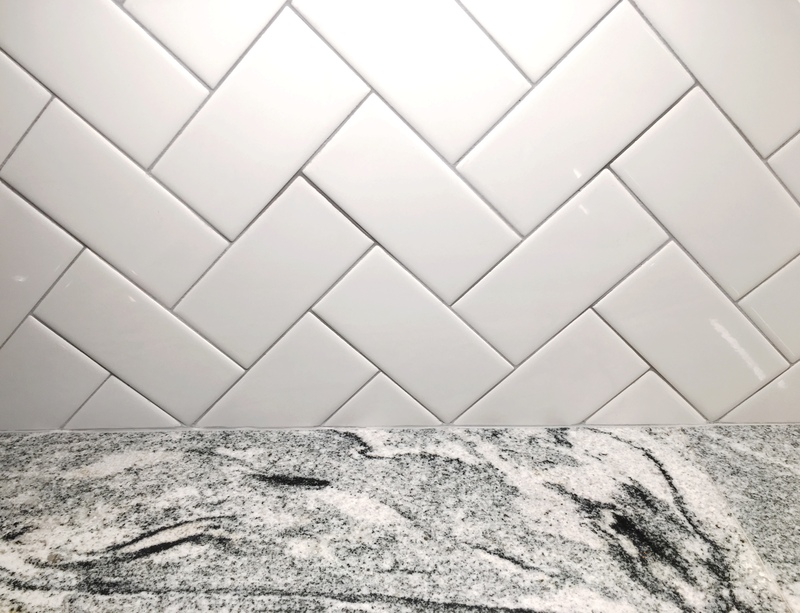 I ended up choosing a basic white subway tile, laid in a herringbone pattern, and then I used a medium gray grout to give some contrast and mimic the tile work we have in our bathrooms. One of our favorite things about the kitchen is the island. Originally, we thought only two people could be seated at the counter-height bar. But once the countertop was installed, we saw that we could easily fit four. I picked out black matte stools from Wayfair (similar here), and we honestly use them more than our dining room table. My other favorite part? 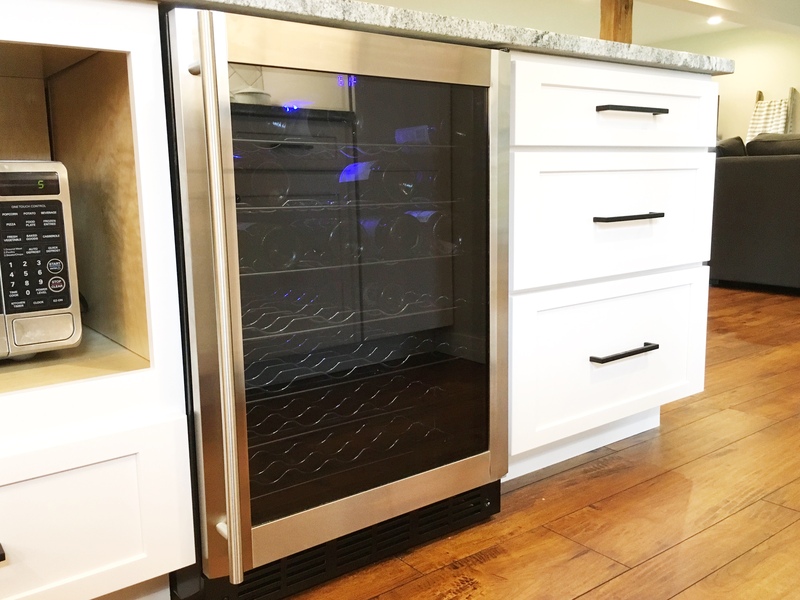 The 50 bottle wine fridge that has never come close to full. Obviously we still need a microwave to fit the space next to the wine fridge. Ignore that. /holy Cow your home looks amasing …it could be in Indianapolis Monthly. What outstanding hard work on your part makes this home look like it could fit in Munster In, Carmel In, Jasper In and any other suburban high end neighbor hood…. way to go cottens !!!!!!!!! !